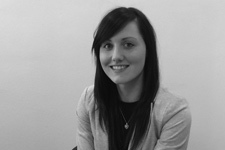 Gemma is a Senior Consultant and Associate Director and recruits within the East Anglia and the South East regions. She has fantastic contacts throughout these areas from the Boutique Firms up to the Legal 100 as well as a wide range of In-House organisations. Gemma studied Law at University and is an extremely successful consultant, working with candidates from Newly Qualified up to Partner Level. Her legal background and qualifications put her in an excellent position to understand and accommodate the needs of her candidates as well as her clients. She very much enjoys the thriving fast paced nature of the role and is keen on building lasting relationships with candidates and clients alike.